Kindly provide me the Previous years question papers of NIDâ€¦â€¦â€¦. ICSE X previous years question papers? Yes sure, here I am providing you the previous years question papers of NID. 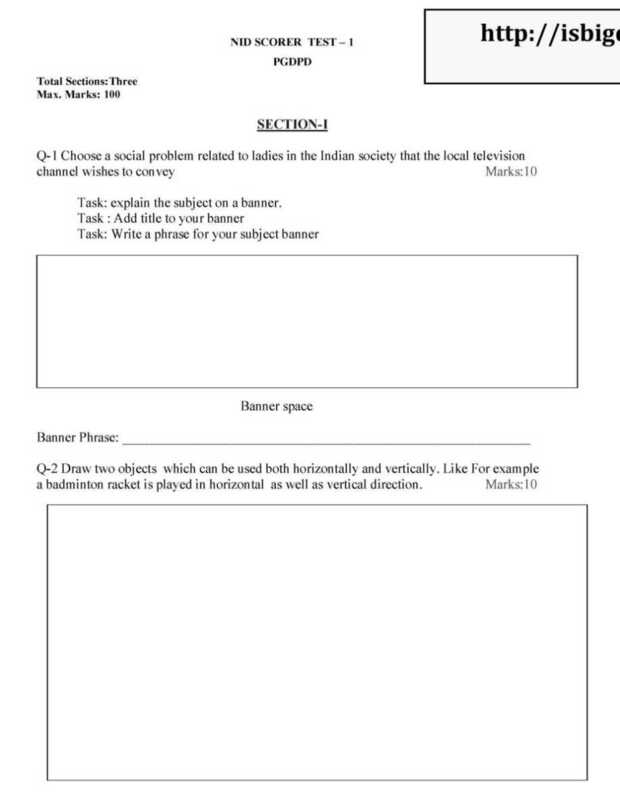 You can use this question paper in your studies and it will give you idea about the paper pattern. Q.1.3.C. 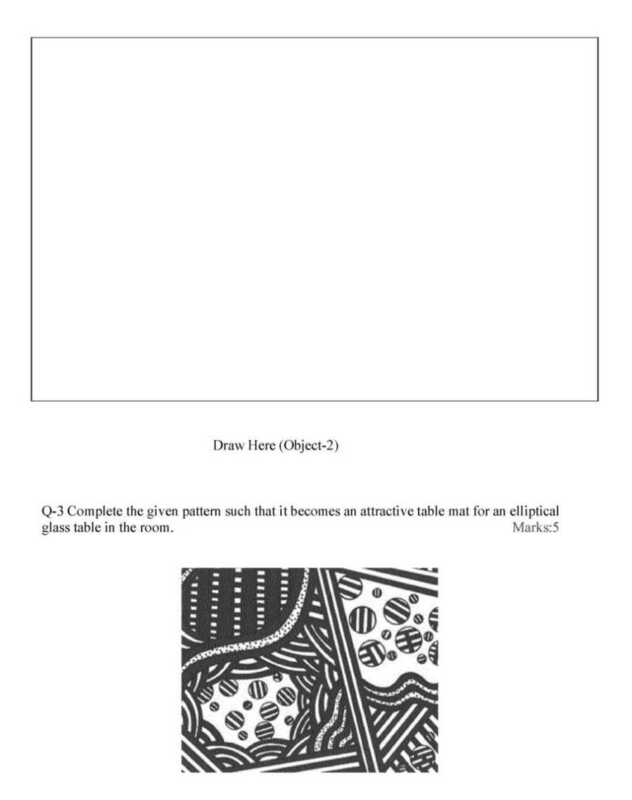 Give three different uses of the drawin g you have dra wn in Q 1.3.B.apart from its (6 marks) intended use through ske tches and tex t. Use A4 size paper. 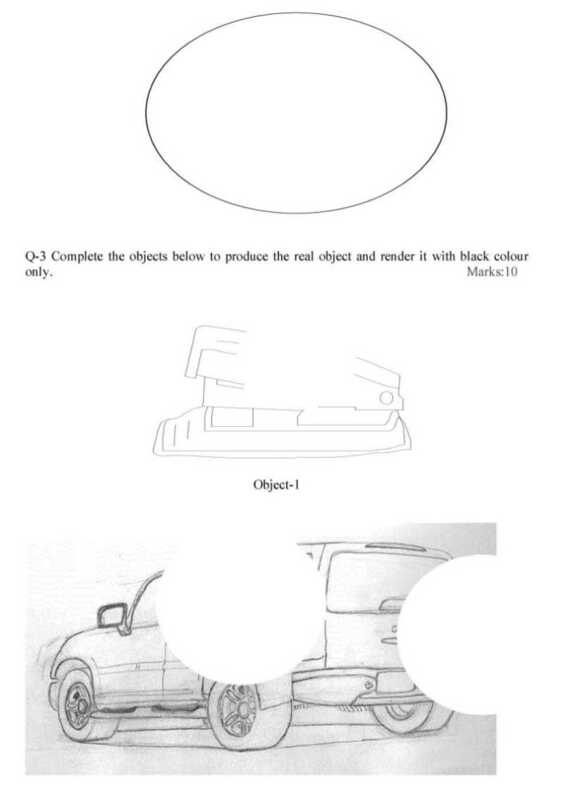 Q.1.4 From the given two objec ts below imag ine ONE OBJECT to be 100 times larger an d suggest (6 marks) THREE diff rent uses of t he enlarged o bjects through sketches supp orted by text. Use A4 size paper. Q.4. Answer any 6 out of the 8 questions below. (12 marks) Answer should be strictly confirmed to the space given for the each question. (All question carry equal marks) Q.4.1 What is Tsunami? __________________________________________________ ________________________________ Give your view on news paper report titled. “The primitive tribes of Andaman & Nicobar islands Escape Tsunami”? Q.4.3 What is special significance of recent verdict of the 2008 United State Prudential Elections? Q.4.4 Guess the relation between “Boifuels” and “Food Security”. Q.4.5 Define “Recession” & “Inflation”. Q.4.6 State how “Tomato” prices are affected by monsoon and/or floods? Q.4.7 What is the relation between food habits and dental care? Q.4.8 Guess why monkeys don’t need to brush their teeth? 1. Which point A on these bars of equal length and thickness would get hottest first. 17. In which direction is the pressure greatest? A. B. C. Answer = D.
Q.5.2. Each problem in this test consists of diagrams on the left side of the page, which follow (4 marks) a logical sequence. 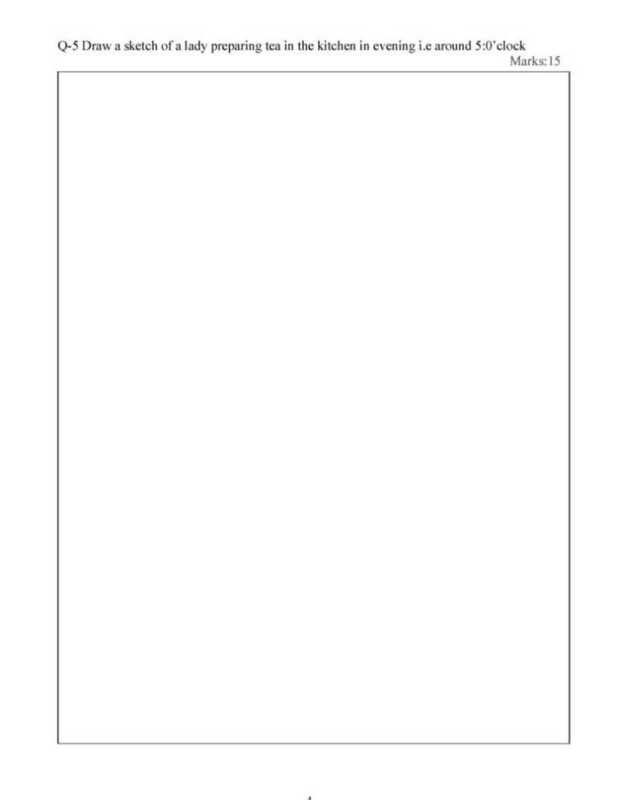 You are required to choose the next diagram in the series from the five options on the right side. Indicated your answer by ticking on the choice box which are named as A, B, C, D OR E.
The National Institute of Design (NID) is a design school in Ahmedabad which functions as an autonomous body under the Department of Industrial Policy and Promotion, Ministry of Commerce and Industry, government of India. It is recognized by the Department of Scientific and Industrial Research under Ministry of Science and Technology, government of India, as a scientific and industrial design research organization. Business Week has placed NID in its list of top design schools in the world. All times are GMT +6.5. The time now is 04:14 AM.